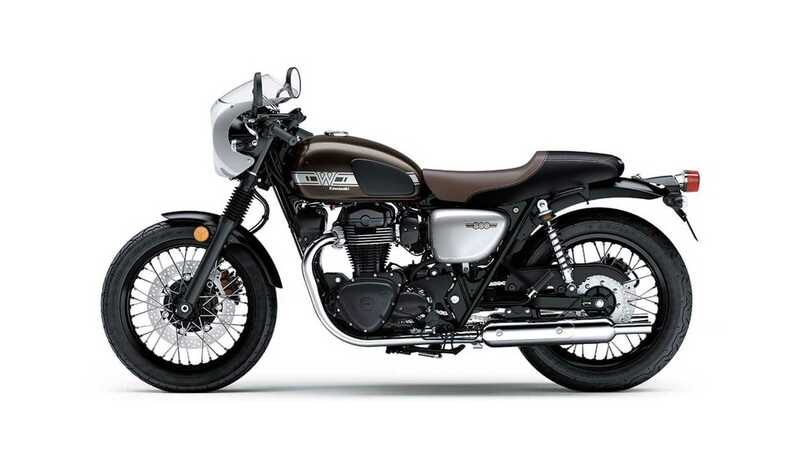 This new brew of the W800 is coming in America! Once upon a time, in 1965, Kawasaki hit the market with what became (for a short time), the biggest Japanese engine in a motorcycle on the market. It didn’t take long for competitors to retaliate and in a matter of years, the competition exploded and lead to the birth of the one-liter engines. Kawasaki’s W never managed to keep up and not even a decade after its introduction, production was ceased and the W appellation was dropped. It took over 30 years for Kawasaki to dig the “W” out of its portfolio and give it a fresh face in the shape of the W650 introduced in 1999. 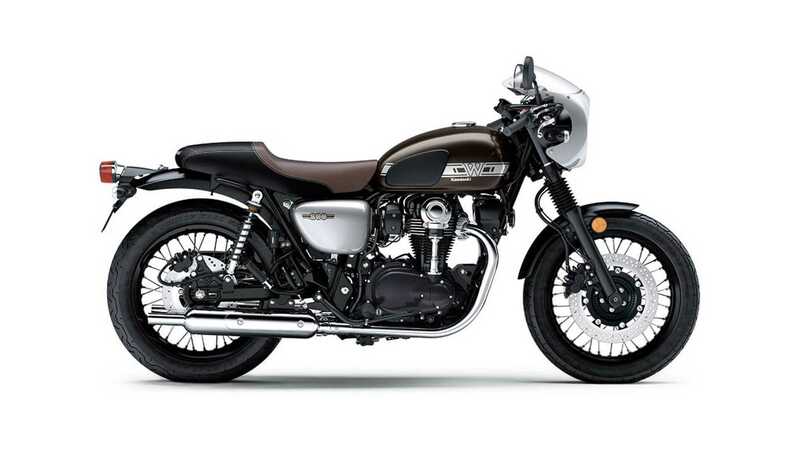 Due to emission standards, the W650 didn’t make the cut after 2010 and was instead replaced by the W800. The move also signed the disappearance of the W from the North American lineup and until the model was discontinued altogether in 2016, became a European exclusivity. Kawasaki wasn’t going to let the W return to dust, however, and surprised us all at the 2018 EICMA with a fresh new generation of the W800 and this time, the US won’t be forgotten. In line with the already available Z900RS and RS Café, the W800 navigate the increasingly crowded neo-retro waters with an undeniably 60s brown livery. 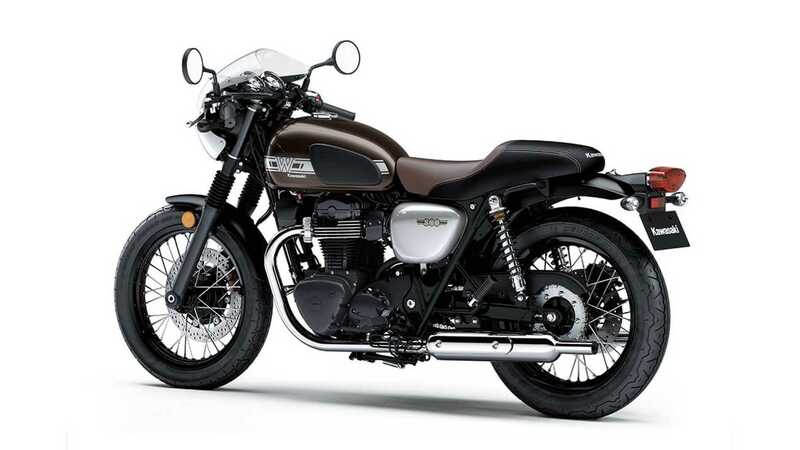 While the Zs bank on a more standard silhouette, the W plays the café racer card with a rounded cowl, an m-shaped handlebar with clip ons, and twin peashooter exhaust tips. Granted, the color scheme is a farcry for Kawasaki’s usual color palette and is debatably a little too brown, but it looks cool enough to make up for it. The structure is brand-new and each component has been optimized according to the level of strain and pressure it receives thanks to a fancy analysis software. At its core, the returning 800 keeps the same air-cooled, 773cc, parallel twin engine as the one found in the previous generation. 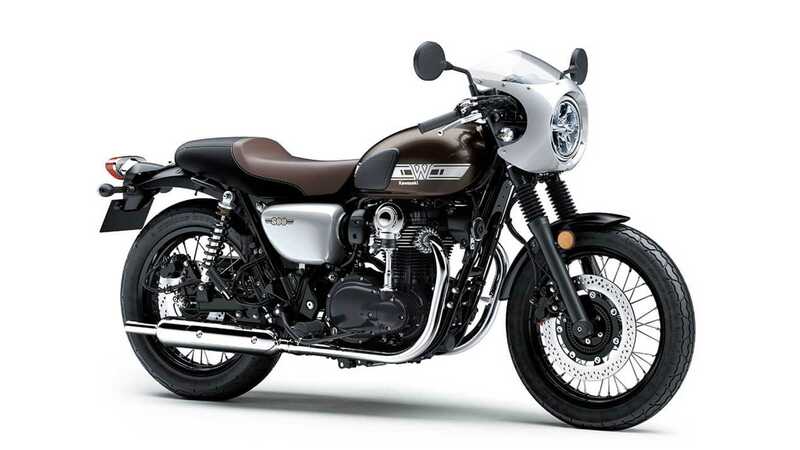 Kawasaki sticks to a very retro regime with the W’s setting, fitting the bike with tube tires, a basic 5-gear transmission, and a twin shock spring suspension at the back, among other things. Another lovely detail to notice is the bevel shaft that drives the overhead camshaft—the only current production model to feature one—a layout inspired by early-century motorcycles. While the engine looks like it’s been fitted with carburetors, it uses in fact a more modern direct injection system. The assist slipper clutch is another “modern” feature on the W of which there are very few: there little to no fluff on this model. No ABS, no drive mode. 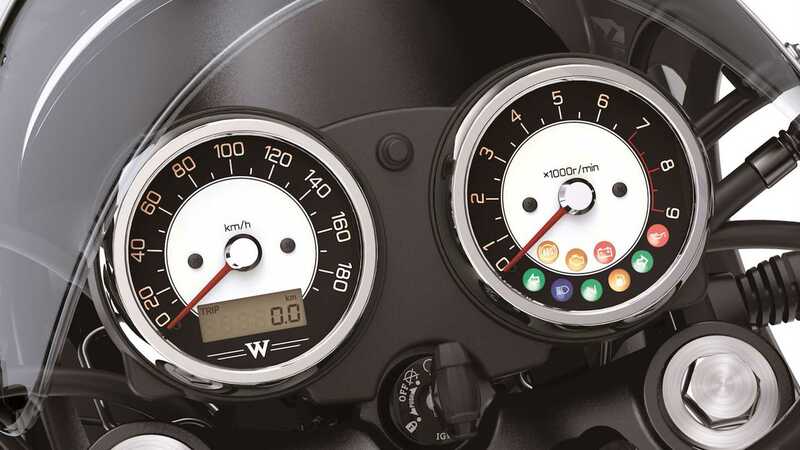 Even the speedometer and tachometer are analog—only the odometer is digital. A series of accessories can be added to make the W800 more versatile, including heated grips, passenger grab bar, luggage rack, and hook nut set. So what makes the W800 stand out from the crowd? Its price. Contrarily to other neo-classics that bust the $10k mark, the W800 Café is seductively priced at $9,799. With the Street version possibly making its way into the American showrooms this year, we could potentially see the naked iteration drop a few hundred dollars, which is even better!